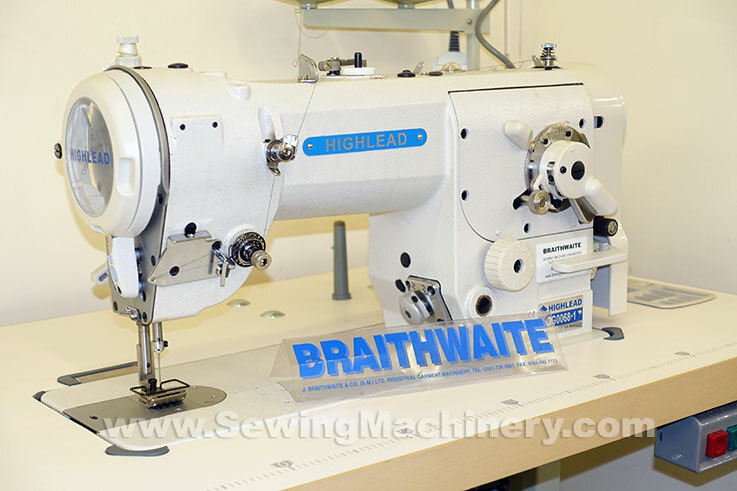 The Highlead GG0068-1 is a high speed zigzag sewing machine for industrial production use which features a newly designed stitch pattern change over device. The stitch pattern change over device allows the operator to easily switch between standard zigzag stitching and 3-step zigzag stitching. 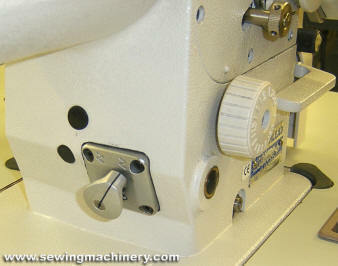 In the past you would have had to purchase 2 separate machines (or manually change cams) to get both of these stitch patterns. Now operators can select: standard zigzag or 3 step zigzag by using a change over lever which is fitted with-in the sewing machine arm. This high speed Zigzag sewing machine features an automatic lubrication system which ensures the durability required for industrial use. When sewing with the standard zigzag pattern: a stitch width of up-to 5mm is available. This increases up-to 10mm when sewing with the 3 step zigzag pattern. Available for use in many different sections of the clothing & textile industry including: underwear, bra, swim-wear, sports-wear, towels + other light and medium weight fabrics. 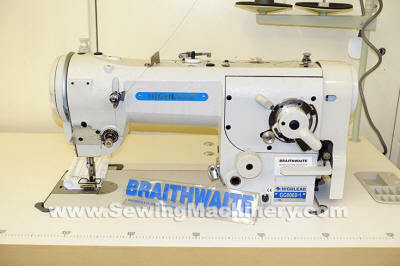 We only stock & support GENUINE HIGHLEAD machines with manufacturers UK warranty etc.